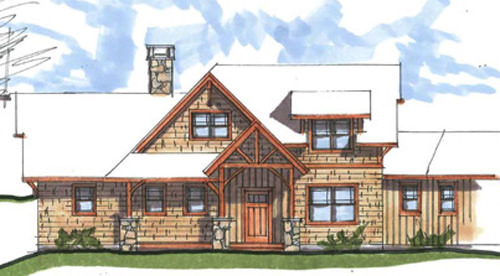 A Timberpeg timber frame home is designed to fit your style. View our library of photo galleries and take a virtual tour of many of our homes too. We also have done many non-residential buildings including offices, barns, restaurants, wineries, religious structures and lots more. 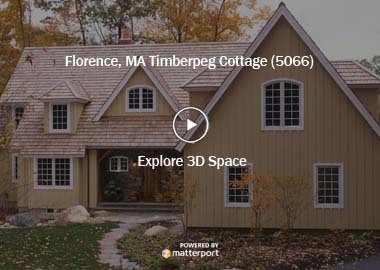 Take a 3D Tour of this Timberpeg Cottage. This home is currently for sale in Northampton, MA! See the listing here. Timberpeg® has designed thousands of homes nationwide. Our homes are based on a modular system of design that makes them infinitely adaptable in style, layout and size. Most of our home plans are entirely custom but many began with a post and beam home plan found here and were modified to meet varying needs. We invite you to explore the many possibilities. ...and we have lot's of customers who tell us they did! Take a look at some of the testimonials and reviews we've received.